Great ways to display marketing promotions and messages in your bar/pub or restaurant from a wide selection of easel frames. Choose from our selection of easels below or we can make a custom-made bespoke one for you. 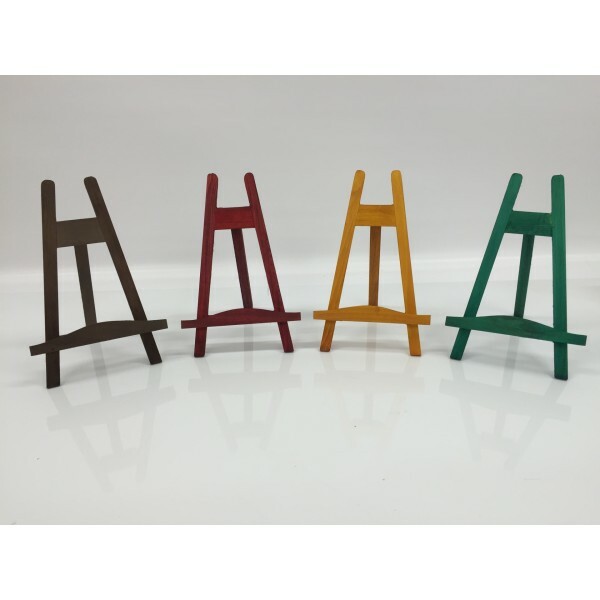 Our mini desktop easels are supplied as a pack of 2 which contains 2 easels and 2 chalkboards. Perfect for displaying marketing messages/promotions in busy pubs/bars and restaurants. Supplied with double sided re-writable chalkboards. Designed for use with our Posterman Liquid Chalk Pens. Our 7" mini easels are supplied with a plain A5 chalkboard. Perfect for displaying marketing messages/promotions in busy pubs/bars and restaurants. High quality A2 hardwood easel is supplied with or without an A2 Chalkboard. Perfect for displaying marketing messages/promotions in busy pubs/bars and restaurants. High quality medium hardwood easel is supplied with or without an A1 Chalkboard. Perfect for displaying marketing messages/promotions in busy pubs/bars and restaurants. High quality large wooden hardwood easel is supplied with or without an A0 Chalkboard. Perfect for displaying marketing messages/promotions in busy pubs/bars and restaurants.